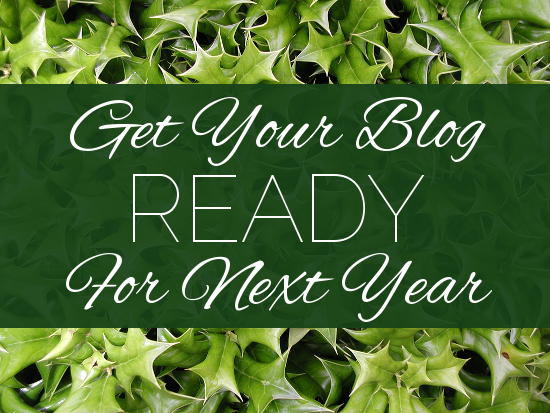 For my last tutorial series of the year, I'm bringing you low-effort, high-reward blogkeeping activities to help you get your blog ready for the new year. Nothing too complicated — you can squeeze most of these tasks into your downtime between dashing through the snow & decking the halls! Back Up Your Blog: How and where to back up your blog template and its content. Improve Your Navigation: Simple strategies for making your blog's many navigation avenues (not just your top navigation!) more reader-friendly — and, incidentally, search-engine-friendly. Keep Your Archive Fresh: How to keep your older content as fresh & relevant as the day you posted it (and refresh posts that have gone a little stale). This will be the last new tutorial series on Code it Pretty until after the new year! After this, I'm taking a "long winter's nap" to rest my brain. I've got big things planned for the New Year, and I can't wait to share it all with you! I want to thank each and every one of my readers for their feedback and encouragement throughout 2012, Code it Pretty's debut year. My favorite thing about this blog is that every day, I get to meet a cool new blogger. I seriously have the nicest readers in the world, and I'm so happy to have met you!